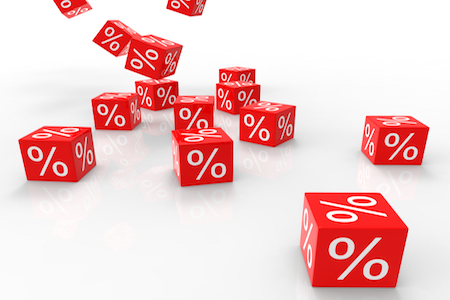 Mortgage rates move lower for the fourth consecutive week as the Fed held interest rates steady at its FOMC meeting on Wednesday, according to Freddie Mac’s recently released Primary Mortgage Market Survey® (PMMS®). Results show that the 30-year fixed-rate mortgage (FRM) averaged 3.79 percent with an average 0.6 point for the week ending January 28, 2016, down from last week when it averaged 3.81 percent. A year ago at this time, the 30-year FRM averaged 3.66 percent. The 15-year FRM this week averaged 3.07 percent with an average 0.5 point, down from 3.10 percent last week. A year ago at this time, the 15-year FRM averaged 2.98 percent. Results show that they 5-year Treasury-indexed hybrid adjustable-rate mortgage (ARM) averaged 2.90 percent this week with an average 0.5 point, down from last week when it averaged 2.91 percent. A year ago, the 5-year ARM averaged 2.86 percent.